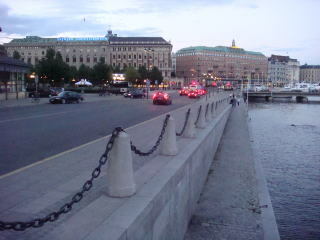 (L) The buildings reminded of a northern country, seen near the Stockholm Central Station. 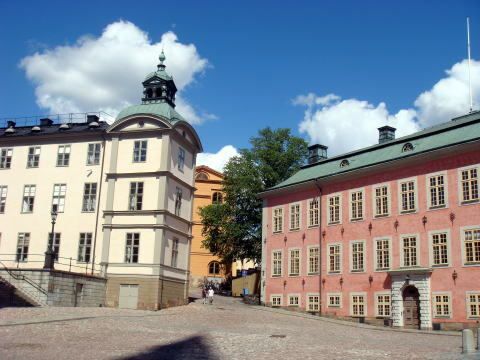 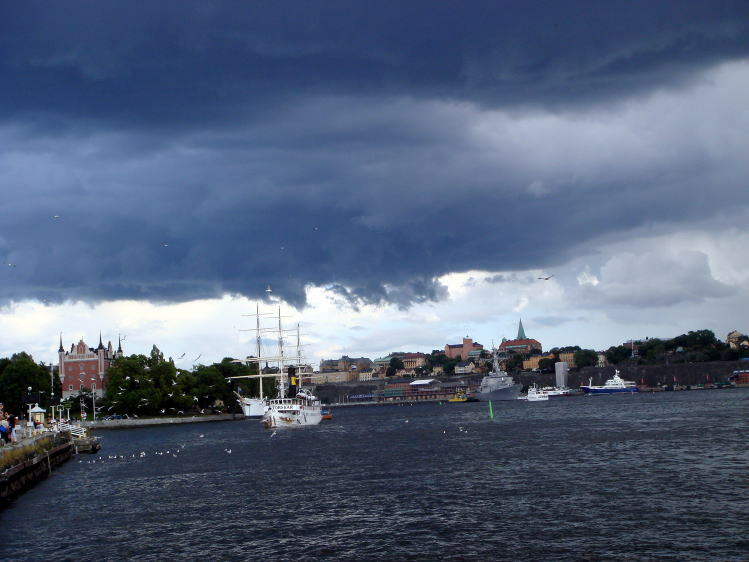 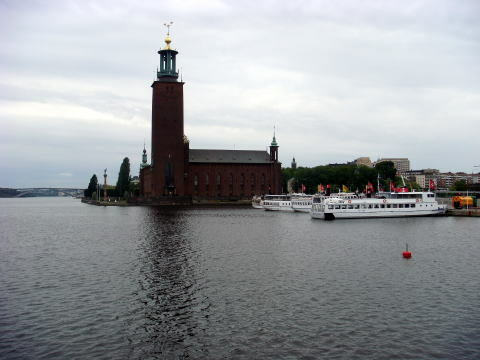 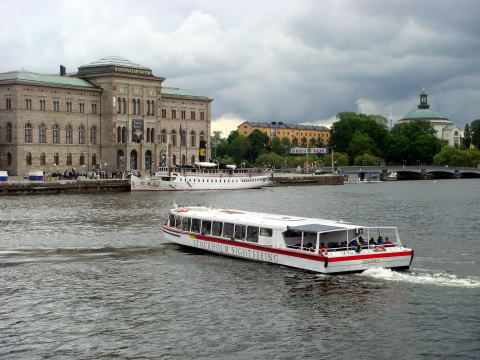 (L) The buildings at the corner of Riddarholmen (The Knights' Islet). 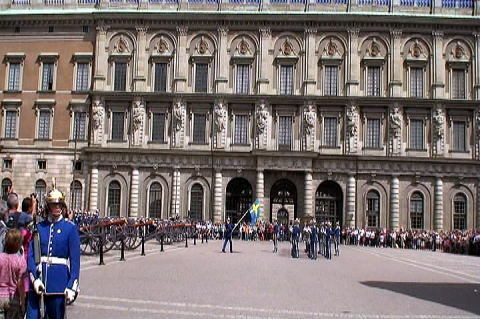 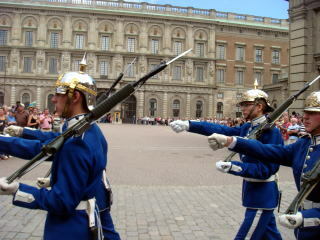 (R) A changing guard ceremony at the Kungliga Slottet (The Stockholm Palace). 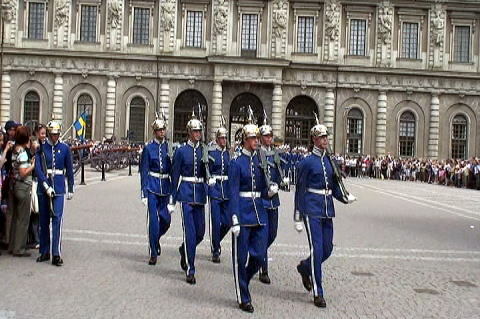 A changing guard ceremony at the Kungliga Slottet. 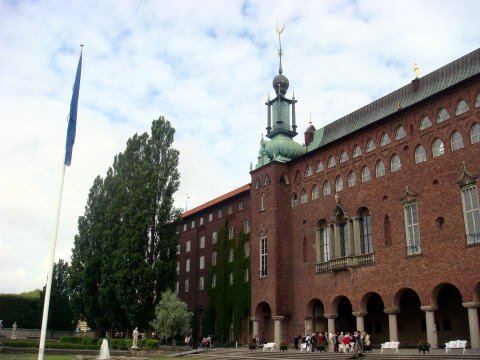 Stadhuset, the City Hall. 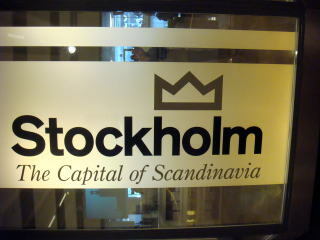 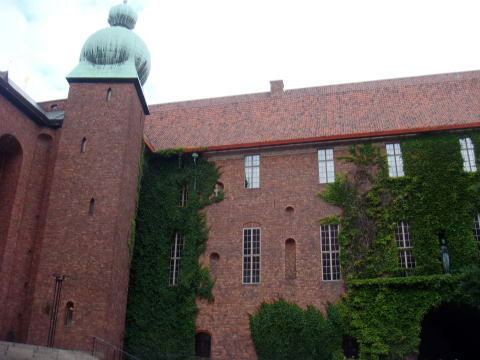 This is the place of the Nobel Prize banquet takes place. 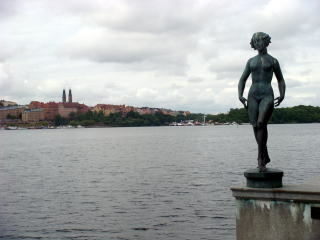 (L) Stadhuset garden, Stockholm. 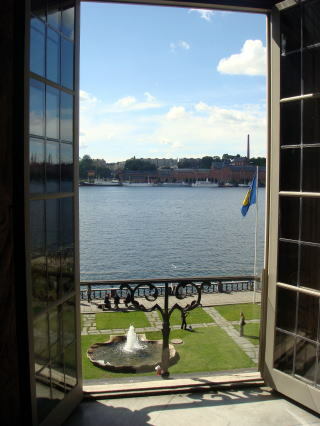 (R) A view of Riddarfjarden. 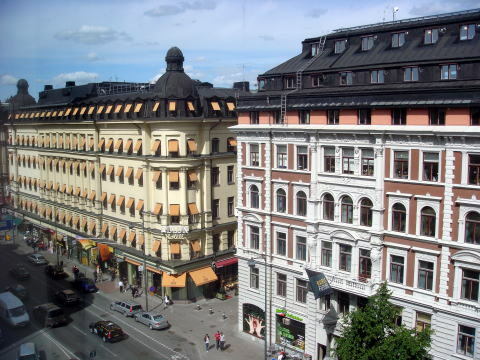 (L) The front of the Stadhuset.. (R) A view of the Riddarfjarden from the upper floor window of Stadhuset, Stockholm. 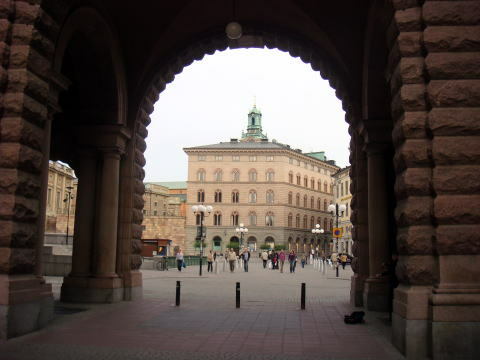 (L) Stadhuset, Stockholm. 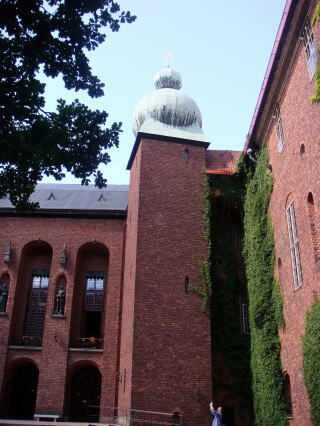 (R) National Museum. 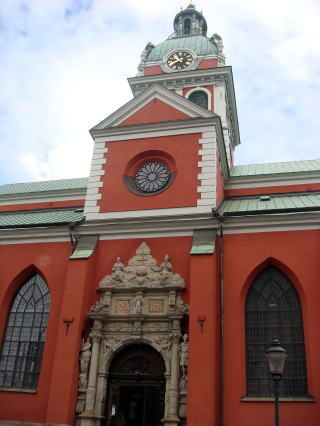 such as late Gothic, Renaissance and Baroque design of architects. 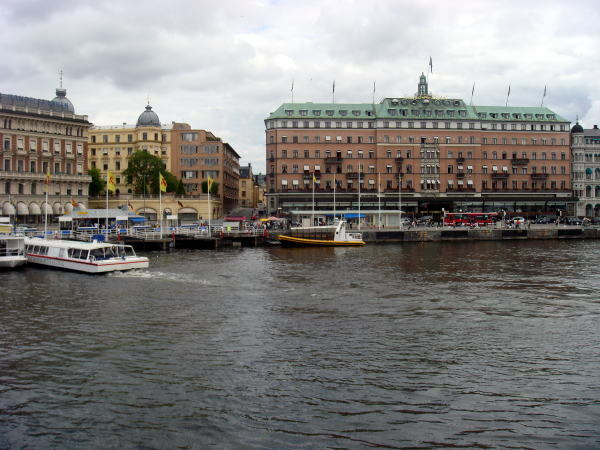 (R) Radisson SAS Hotel Stockholm faced to the Riddarfjarden. 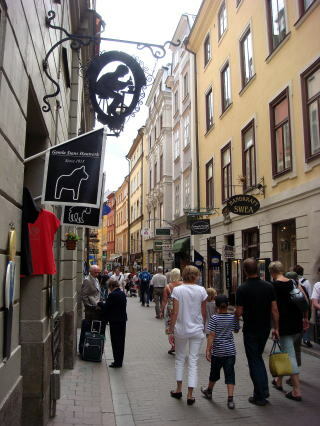 (L) Vasagatan is the major street in central Stockholm. 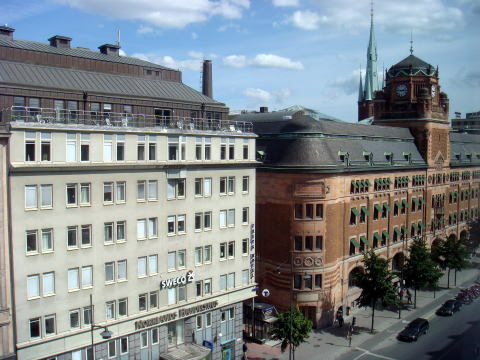 The Central Post Office in the right. 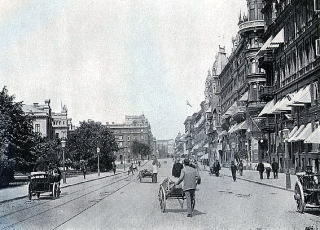 （R) The Vasagatan street in around the year 1900. 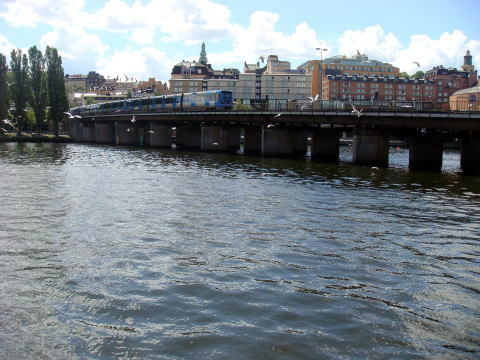 A SJ train crossing the river of Riddarfjarden. 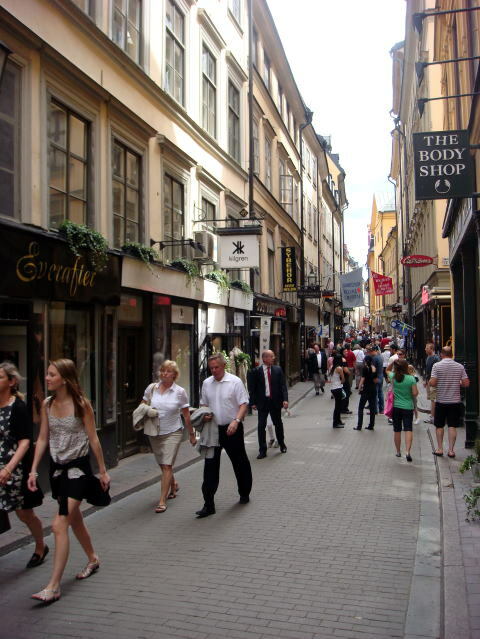 The old street and the shopping district of Vasterlanggatan. 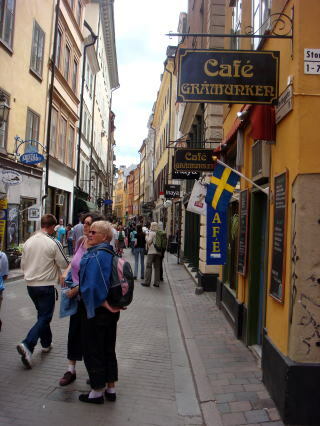 Many restaurants in the old town, Gamla Stan. 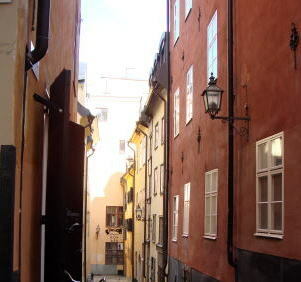 A narrow quiet street just a few minutes from the busy Vasterlanggatan. 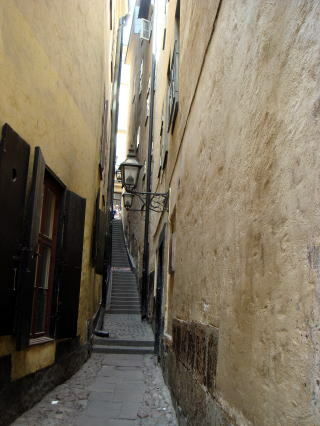 The world of the 15th century. 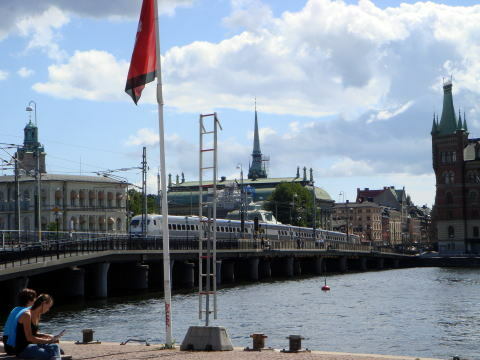 (L) A yacht harbor in the Riddarfjarden. 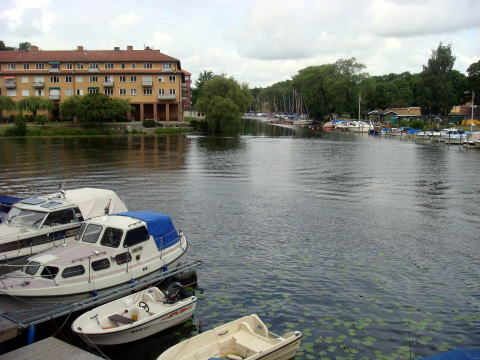 The water links to the Baltic Sea. 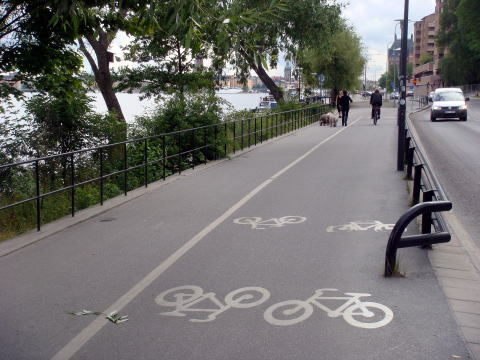 (R) A cycling road. 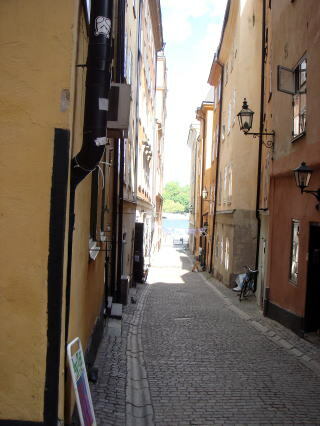 It is much wider than a pedestrian walk. 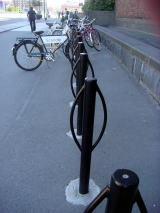 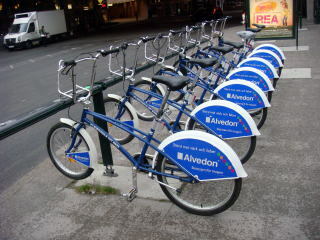 (L) A parking pole for a bicycle and a rental cycle depot. 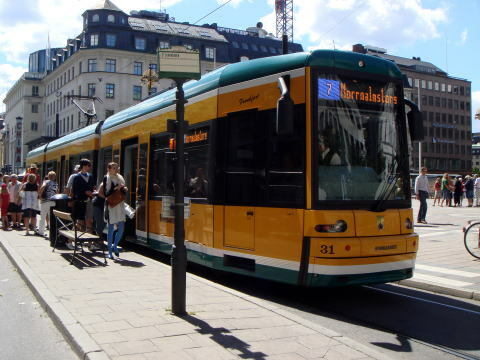 (R) The tram line is a heritage tramway with line number 7, departs from the Norrmalmstorg square, Stockholm. 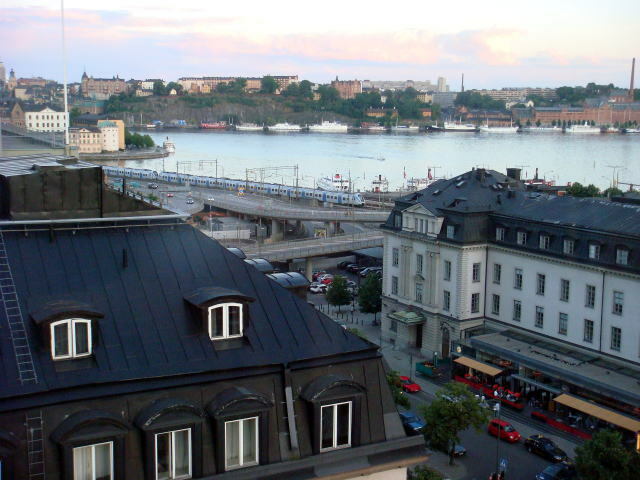 (L)The Stockholm Central Station viewed from the Scandic Continental Hotel. 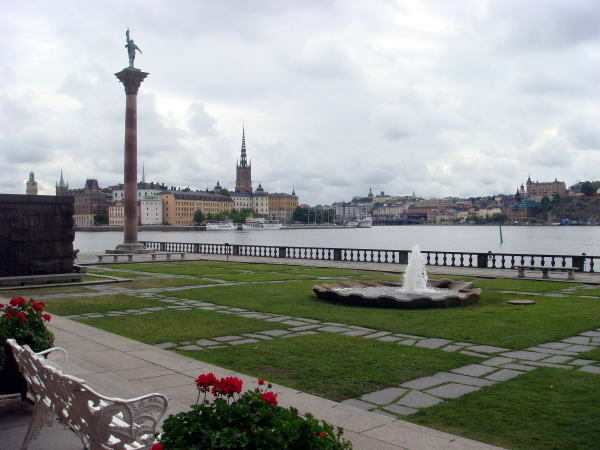 (R) The late sunset time of the area of Riddarfjarden. 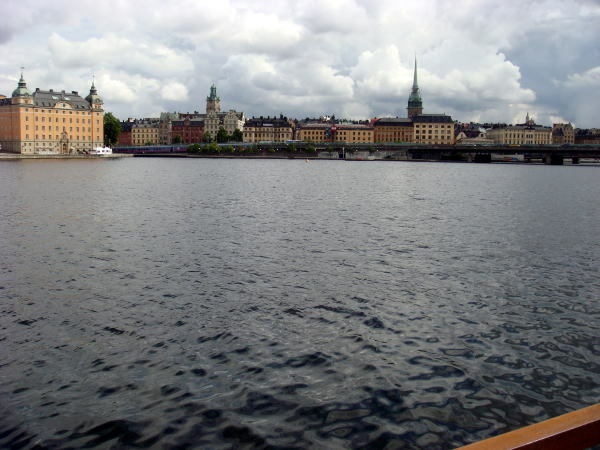 The Nordic Light Hotel. 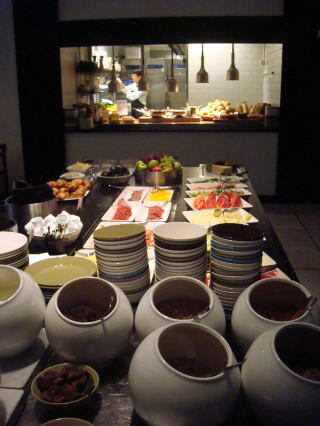 A morning buffet and the dinning room in the hotel. 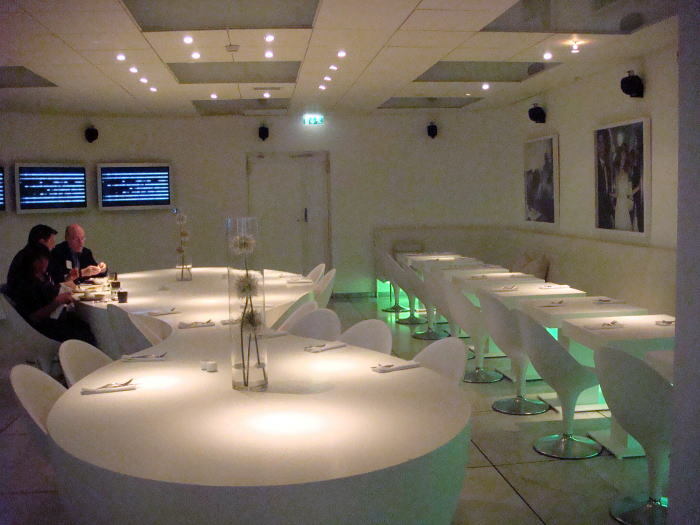 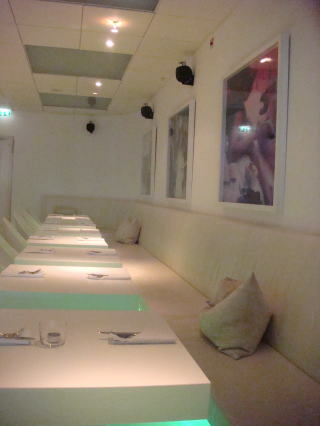 The dinning space which may imagine the society one century ahead.